Microbrewery Plants with 2-vessel brewhouse sized from 10hl up to 50hl of beer per brew designed for 2 brews daily, also design individual brewhouse for space saving and daily brews concern. Brewpub (1-10 hl of beer per brew) Brewpub equipments with 2-vessel brewhouse sized from 1hl to 10hl of beer per brew designed for 2 brews daily, decorative . In our great gathering of fermenting supplies, we offer our customers premium quality Micro Brewery Equipment. This bottling works gear is all around fabricated by the utilization of premium quality segments, essential material. 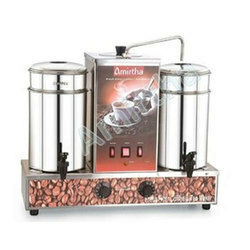 According to the needs and requirement of our clients, we are offering them a huge range of Tea Maker. This product is available in different shapes and sizes according to client’s demand. Our product range is made by using quality material which we but from our trusted and reliable vendors. Brews 6 cups of fresh coffee in no time, Complete with fine-tune aroma control, Compact design for home and office use , The center of attention on the breakfast table and in the office pantry. Compact coffee maker that brews 6 cups of joy. 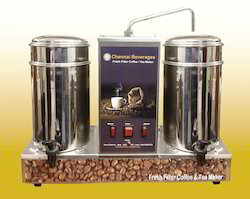 Self sufficient unit comes with water tank, and ground-bean container. Just add electricity and love of fresh coffee. Green tea consumption is getting very popular, considering the fact the benefit it brings. Making a habit of green tea is a welcome habit for the modern day millenials. Tea enzymes used during tea processing help in preserving the colour, flavor and fragrance of the final product.